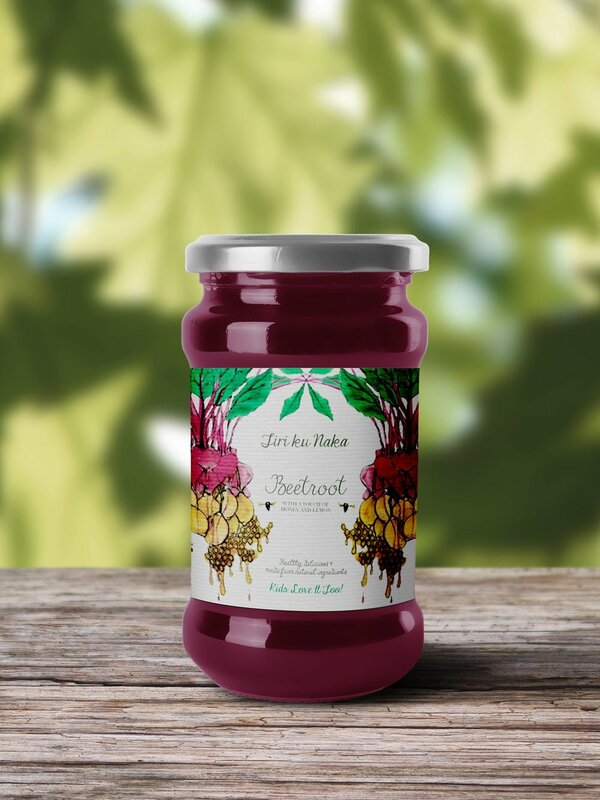 Packaging design for Tiri ku Naka's new range of salad dressings and sauces. Tiri ku Naka was about to launch a new range of sauces and condiments to be sold in UK supermarkets. We were approached to design packaging for these new products that would reflect the brand's focus on natural ingredients and appeal to health-conscious parents. We developed bespoke illustrations in keeping with the client's request for a hand-drawn aesthetic, layering the different elements of each flavour into an arch that would frame the text. The five flavours were: Beetroot, Citrus, Banana, Strawberries & Cream and Honey & Lemon. Looking for food packaging design for your next product?